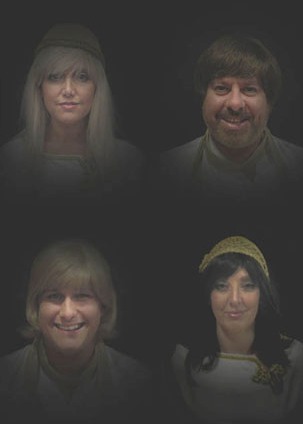 This Abba Tribute is one of the UK's premier Abba Tributes and has been established since 2000. Featuring some incredibly talented singers and musicians, they offer one of the most captivating and authentic tributes to one of the greatest bands of all time. Abba Tribute Shows are typically either 1hr or 2x45 minute sets but you can combine Abba's Angels with either their 70s or 80s shows for a longer show. Stunning costume changes and self contained they have high quality sound system and dazzling stage lighting. They're available primarily as the Abba Tribute Band (4pce with live keyboards and guitar) but can perform as a 2-girl Abba Tribute Duo on occasion. They're equally happy performing for private parties as they are in front of thousands of festival goers, so book early !